Michael “Mick” Conlan is set to paint the Hulu Theater at Madison Square Garden green on St. Patrick’s Day for a third consecutive year. The Belfast native, two-time Irish Olympian, and top featherweight prospect-packed the Hulu Theater to the rafters in 2017 and 2018 and will return on Sunday, March 17 to face the battle-tested Ruben Garcia Hernandez in the 10-round main event. This special St. Patrick’s Day tripleheader will stream live and exclusively at 6 p.m. ET on ESPN+. The soon-to-be-announced undercard will stream live on ESPN+ beginning at 3 p.m. ET. 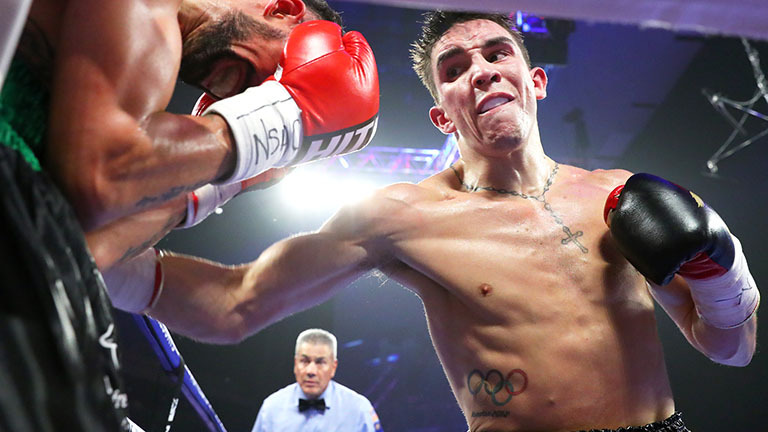 "I'm excited and honored to fight at my home away from home, The Mecca of Boxing, Madison Square Garden, on St. Patrick's Day for the third consecutive year,” Conlan said. “The fans in New York City have been incredibly supportive of my professional career, and I look forward to putting on a show for them, in addition to my great fans from Ireland who will be coming over for the party in Manhattan. Thanks very much to my team and Top Rank for this tremendous opportunity. I'll be well prepared for victory to kick off a huge year for me in 2019." "For a kid who came from Colombia with nothing, trying to make a name for himself and a better life for his family, fighting at Madison Square Garden feels like a dream come true,” Vargas said. "I've fought on some of the biggest stages in the world, but this is where every fighter envisions themselves fighting. It's an opportunity I won't let go to waste."